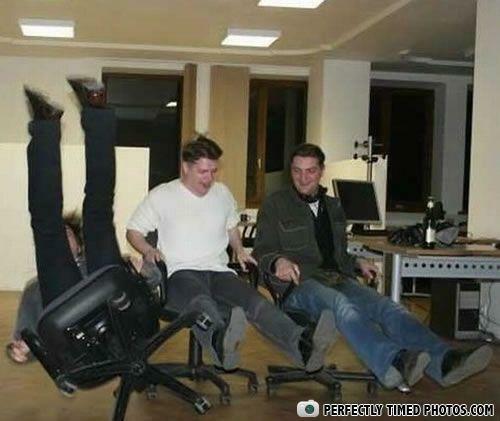 This is what happens when you leave three men un-supervised in an office. I whip my chair back and forth! Oh, THAT'S what that handle is for! What do you call a chicken with the head of a shark?